Get In Line To Learn A Simple & Easy Way To Scalp The Market! Think it! Believe it! Take action today! where the market is going next. The #1 reason most traders struggle to find extraordinary success in the Forex market is mainly because they're not aware of how to find good entries into the market. Don't Be Fooled By The Imitators ... Try It The So Darn Easy Way™! It's my belief that the Forex training industry is upside down and in need of a shift. That's why since inception, The So Darn Easy Forex Movement's focus has been to revolutionize the industry through my simple-to-comprehend and easy-to-apply Forex techniques and strategies. the teaching Forex the so darn easy way™. Are you one of the millions of Forex traders who constantly struggle with entering the market at the right time? Whether you're totally new to Forex, or one with years behind you, I am confident that like thousands of other students who were looking for a solid strategy for entering the market, you too will find that entering the market has never been any easier. Let The Perfect Entry Strategy be your blueprint to entering the market with confidence and becoming our newest success story! Learn The Perfect Entry Strategy NOW! Are you new to Forex or have been watching The So Darn Easy Forex™ Movement and how Yusef Scott continues to dominate the Forex market, and you want to come aboard, but you've heard rumors. Whether you've heard or read rumors on social media or even review sites, Yusef Scott has undoubtedly shaken up the Forex training industry with his style, passion, and consistency in being a profitable long term Forex trader. It's time that you tune out what NON-MEMBERS rumor, and hear what ACTUAL STUDENTS of The SDEFX™ Movement have to say about The So Darn Easy Forex™ Movement and Yusef Scott. When a student decides to join The SDEFX™ Corner The Market Membership, they should be ready to learn short-term (scalping), long-term (swing), and Crypto trading. Each student will enjoy having direct access to each and every page of The SDEFX™ Training Vault aka The Member's Area. The vault will include not only the material from The SDEFX™ Millionaire Combo Membership and The SDEFX™ Membership, but also the ABSOLUTELY BRILLIANT and never-before-talked-about material of The Corner The Market Membership. In addition, as a student, one will be able to realize and trade the same long-term trading opportunities that are publicized on YouTube, Facebook, and Instagram by Mentor Yusef Scott. This membership's profit potential is far greater, and will allow for traders to run trades for weeks and months at a time. Who should consider joining The Corner The Market Membership? Those who should consider to join The SDEFX™ Corner The Market Membership are those looking for a one-stop-shop type training or an all inclusive training environment. The idea is to give traders across the entire world the chance to become well-rounded traders. Therefore, whether your interest is short-term trading as a scalper, we have you covered! If your interest is long-term trading as a swing trader, you couldn't come to a better training camp! Then, if you're interested in profiting off of the widely-promoted and marketed Crypto market, I will show you how to damage the market on either sde of the coin. So, those who are absolutely tired of being margin called, controlled by the Big Banks (those who push the markets around), or those who simply tired of giving the market their hard-earned money on each corner. More importantly, those traders who are not just ready to learn how to make profit in the market, but those who are serious about adopting Yusef Scott's ABSOLUTELY BRILLIANT Winning Mindset and Forex Money Management Plan and Strategies that will make you ask "Why didn't I think of that?!" As a SDEFX™ Corner The Market Membership Student you will have access to the ENTIRE suite of Forex training material in all 3 memberships. You will have access to The Perfect Entry Strategy, The Stay In Your Trade Training, Weekly Trade Alert Training, Cryptocurrency forecasts, Scalping concepts and more! While most Forex traders only dream of being able to finally win enough to make their first withdrawal, get excited to gain access to Yusef Scott's brilliant concepts on cornering the market to win win and win some more! If you're ready to adopt Yusef Scott's ABSOLUTELY BRILLIANT Winning Mindset and Forex Money Management Plan that has allowed him to remain successful in cornering the market, you've stumbled upon the right membership at the right time. If you're ready to adopt Yusef Scott's ABSOLUTELY BRILLIANT Winning Mindset and Forex Money Management Plan that has allowed him to remain successful in cornering the market, you've stumbled upon the right membership at the right time. Also, if you're interest is in doing away with recurring payments, this option is for you! $700 Savings for the year! You MUST have immediate access to the email address on file with PayPal to join! When a student decides to join The SDEFX™ Millionaire Combo Membership, they will have access to not only the material from The SDEFX™ Millionaire Combo Membership, but also the training material from The SDEFX™ Membership. In addition, as a student one will be able to realize and trade the same long-term trading opportunities that are publicized on YouTube, Facebook, and Instagram by Mentor Yusef Scott. This membership's profit potential is far greater, and will allow for traders to run trades for weeks and months at a time. Who usually join The SDEFX™ Millionaire Combo Membership? Those who usually join The SDEFX™ Millionaire Combo Membership are those who can afford to spend the $299 to join and are extremely serious about creating life-changing results trading the market. Moreover, those who join The SDEFX™ Millionaire Combo Membership are usually those who are exhausted with watching the charts around the clock and who are interested in learning how to trade the market long term to ultimately have more time to do as they want. That said, when a student look at joining either membership for the first time, it's suggested (but not mandatory) that students consider The SDEFX™ Millionaire Combo Membership (at the start) to avoid paying for joining The SDEFX™ Membership, and then later spending an additional $299 to upgrade to The SDEFX™ Millionaire Combo Membership. As a SDEFX™ Millionaire Combo Membership Student, when you access our Private Member's Area (where tons of Forex training material is housed), you'll have access to all of the training material for both The Millionaire Combo Membership and The SDEFX™ Membership. If you've witnessed Yusef Scott's ongoing long term trades, you would know by now that his long term trading is second to none and extremely POWERFUL! If that wasn't enough, you'll also have access to The Perfect Entry Strategy, The Stay In Your Trade Training, and Weekly Trade Alert Training sessions that will allow you to earn while you learn. Again, ONLY students of this membership will have access to The SDEFX™ Millionaire Combo training material. If you've already familiar with Yusef Scott's ability to run trades for days and weeks, then this is the membership you want! Also, if you're interested in receiving value for your money, then this is where you'd want to start for sure! If you've already familiar with Yusef Scott's ability to run trades for days and weeks, then this is the membership you want! Also, if you're interested in doing away with recurring payments, while receiving extreme value for your money, then this is where you'd want to start for sure! $549 Savings for the year! Whether you're new to Forex, just want to test out The SDEFX™ Movement out of curiosity, or might not have the financial means of joining our Millionaire Combo Membership, you'll be able to enjoy joining for a fee that's half of the fee of The Millionaire Combo Membership. Students will be able to sit in on our webinar-style and most-popular Trade Alert Training series training on Tuesdays (5pm-6pm EST), and then our core training session on Thursdays (2pm-3pm EST). Students who decide to join The SDEFX™ Membership will enjoy our renowned SDEFX™ Strategy, The Perfect Entry Strategy, The Stay In Your Trade Strategy, and more. All of these strategies are sure to provide students with a new perspective on trading Forex and realizing profit with ease. Unlike students who join The SDEFX™ Membership, when students decide to join The Millionaire Combo Membership from the start, they will not have to worry about having to upgrade to The Millionaire Combo Membership later, which would ultimately cost them more in joining fees ($149+$299), vs. just the $299. Students will be able to sit in on not just the 2 weekly training sessions that The SDEFX™ Membership students enjoy, but an additional weekly training session on Wednesdays (2pm-3pm EST) which has a strict focus around our powerful SDEFX™ Long Term Strategy. Since the focus of The Millionaire Combo Membership is our Long Term Strategy, students are able to see the long term move that would ultimately render larger profits. The bottom line is when students decide to join The Millionaire Combo Membership they'll have access to everything that's offered to those belonging to The SDEFX™ Membership, as well as EVERYTHING available to The Millionaire Combo Membership. The profit potential and the ability to save money on membership fees long term is always attractive for those who are looking for the long term advantage. Students will be able to take part in learning how to crush the Forex market using The Low-Risk Scalping Strategy that was realized by The Forex GOAT himself Yusef Scott. This highly sought after strategy will allow you to realize the many low-risk highly probably trading opportunities in the market that so little overlook each and every day. Students will be able to sit in on 4 different training sessions per week. 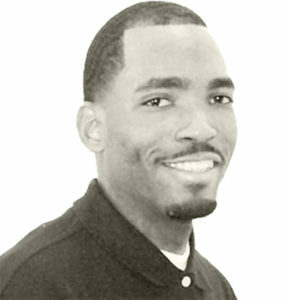 Basically, nearly each day of the trading week you'll be able to come together with The Forex GOAT (Yusef Scott) as he delivers Forex wisdom to his students on each level of The SDEFX™ Movement. Having witnessed the possibilities within the CryptoCurrency space over the last few years, Yusef Scott will surely provide you with clever ways to compound your money in this arena. Get ready to be presented with the REAL about how one should consider positioning themselves in the Crypto market. As a Corner The Market Membership student you will have access to the entire suite of Forex training material that's offered to The SDEFX™ Movement. Being at the front of the line rubbing elbows with Yusef Scott (The Forex GOAT) will definitely allow you to realize his perspective on the market, whether you're talking long term trading or even scalping the market. When a student decides to join The SDEFX™ Membership, they will be becoming a student at the ground level. This membership is not to be misunderstood as a membership for those who may need to learn the basics because they're just getting started. Since all of the SDEFX™ memberships/products are extremely powerful, the level you join at has no merit on the quality or accuracy of material for trading. Who usually join The SDEFX™ Membership? Those who usually join The SDEFX™ Membership are those who might be low on funds to begin with and find that spending $149 is more economical. In addition, there may also be those who might be a little skeptical and do not want to risk spending the money on a membership that would be ineffective and not produce the results. As noted, this membership is half the price of that of The Millionaire Combo Membership. As a SDEFX™ Membership Student you will have access to The Private Member's Area where there are tons of training material to build your Forex knowledge from. You will have access to The Perfect Entry Strategy, The Stay In Your Trade Training, and Weekly Trade Alert Training sessions to allow you to earn while you learn. Those who consider The SDEFX™ Membership will not be able to realize the long-term trading setups that are revealed to The SDEFX™ Millionaire Combo Membership students, which is why the profit potential is much smaller. If you're interested in saving a little money, while taking your Forex knowledge to new heights from a solid foundation, then The SDEFX™ Membership will be your best option. If you're interested in ditching the ongoing monthly or quarterly payments, for just one payment, while saving money and being able to take your Forex knowledge to new heights, then The SDEFX™ Yearly Membership will be your best option. $338 Savings for the year! By now, I am sure that like thousands of others from all across the world, you may have heard about the concept known as "The Always Win Strategy™". Although there's a mix bag of feelings about this strategy, there are many people who have called it quite ingenious! Some may have even called it a waste of time or money. But it's usually those who only have a surface-level comprehension of the concept. Please know that as a student of The SDEFX™ Movement, you will have FULL ACCESS to the details on how, when, and where to use this strategy. It's time to prepare for the ride of your life! Do you want to be able to get in on your trades with precision and ease? With the use of our original Forex strategy, you will be able to get in on those great market moves sooner rather than later, and exit the market with maximum profit. Do you want to get in on those huge gaps in the market following the Sunday's open? Let's start your trading week off in the money with my Gap Twist Strategy™ and a guaranteed win. Forex traders will enjoy both the SDEFX Strategy™ and the SDEFX Long Term Strategy™ taught together to receive "The Eagle's Eye" that provides the foundation and ability to realize the most profit potential. Are you tired of the time-consuming duty of watching the charts hour for hour as a day trader? Learn my jaw-dropping Long Term Strategy that I use to accumulate thousands of pips monthly. You MUST have immediate access to the email address on file with PayPal to purchase our products! As a token of appreciation for all of my students, you will be able to enjoy a weekly Trade Alert Training where I examine the ENTIRE market in front of you and provide you with my bias of which way each market will likely move. While providing this Trade Alert Training IS NOT a part of the fee for joining The So Darn Easy Forex™ Movement, it is important for you to know that this is a TOTAL freebie. It is required that all students examine the trade alerts and make sense out of it for themselves before placing any trades. So here's your chance to truly EARN WHILE YOU LEARN! Each student will have access to taking part in our weekly group Forex training. Each week there will be a new topic discussed and it will provide everyone with a deeper level of understanding of Forex trading concepts. Do you have trouble with second guessing your trades? Well it's time that you tune out and learn to unlearn all of the misleading information being taught on the net. Our students are put through repetitive training to enable them to realize patterns and the obvious. Doing this continuously not only familiarizes them with the market but builds confidence. Have you been a member of a Forex training group where you had no access to those in charge of the group? Well look no further, as a member of The So Darn Easy Forex™ Movement you will have direct access to the Mentor (Yusef Scott) for questions or concerns at any time.  All members of The SDEFX™ Movement will receive a weekly 2-hour training that will cover The So Darn Easy Forex™ core strategies and fundamentals of Forex. Because there are many Forex traders lost in the world of trying to understand and grasp the many Forex strategies circling the net today, So Darn Easy Forex™ Strategies were born. We teach our students to see Forex charts through a totally new set of eyes and most of, with confidence. Many students who went through our training have mentioned that our training was the missing link and allowed them to see the market more clearly. With the thousands of visitors from all over the world visit my site monthly, most usually ask me to recommend or suggest a good broker for them to use. Until now, I have never mentioned my broker on my site. But I thought it would be helpful to finally carve out an area on site where I shared details of my broker. Since I have to be careful with liability cases, I have to ask that anyone looking for a broker to please perform your own due diligence on my trusted broker - as you would any broker - before you work with them. Why Did I Choose TradersWay? Since my well-known Always Win Strategy™ requires you to have a Buy & Sell position opened on the same instrument (hedge), without this ability, it would make executing such strategy impossible. Lastly, please know that I do not work for TradersWay, so any questions you might have should still be directed to their customer service department. It’s me Yusef Scott! I am a husband and father by day & Forex Trainer and Master Trader in the wee hours of the morning. I never sleep… well almost. I am the brains behind the So Darn Easy Forex™ Movement. Since inception, I've been able to attract people from every corner of the world for my So Darn Easy Forex training services and strategies. I've been sought after by people with years of trading behind them, who never realized consistent profit until after their thorough training. I firmly believe that because of my dedication the Universe will continue to lead those in need of Forex training to the doorway of this amazing movement. My plight is to help as many people as I can to learn to unlearn all of the unnecessary instructions about trading Forex circling the net today. Just like in mathematics, when you learn the basics (addition, subtraction, multiplication, and division), every other level of math is based on just those 4 basic segments. Trading foreign exchange on margin carries a high level of risk, and may not be suitable for all investors. Past performance is not indicative of future results. The high degree of leverage can work against you as well as for you. Before deciding to invest in foreign exchange you should carefully consider your investment objectives, level of experience, and risk appetite. The possibility exists that you could sustain a loss of some or all of your initial investment and therefore you should not invest money that you cannot afford to lose. You should be aware of all the risks associated with foreign exchange trading, and seek advice from an independent financial advisor if you have any doubts. No representation is being made that any account will or is likely to achieve profits or losses similar to those that may be shown. Past performance is not indicative of future results. Individual results vary and no representation is made that clients will or are likely to achieve profits or incur losses comparable to those that may be shown. Past performance is not indicative of future results. You acknowledge and agree that no promise or guarantee of success or profitability has been made between you, Mirrored Millionaire's Forex Group, So Darn Easy Forex, and www.SoDarnEasyForex.com. This site contain links to third parties’ websites for membership affiliate purposes. Please know that our affiliation is limited to their membership affiliate program, and So Darn Easy Forex™, GIS, LLC, Yusef Scott, or any of their subsidiary companies will not be responsible for the use, sharing, maintenance, or disclosure of data and information by any third parties.